Summer is just around the corner, so it’s time to uncover the pool and get things ready. If your pool pump is getting old and worn-down or has simply stopped working, you will need to consider ordering a replacement before summer starts. If you’re in need of a new pump, consider purchasing one of the variable speed pool pumps listed in this review. 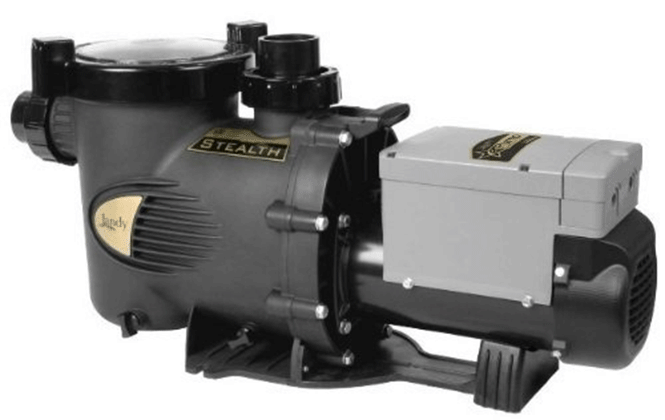 This Energy Star certified variable speed pump is designed to be cost-effective. 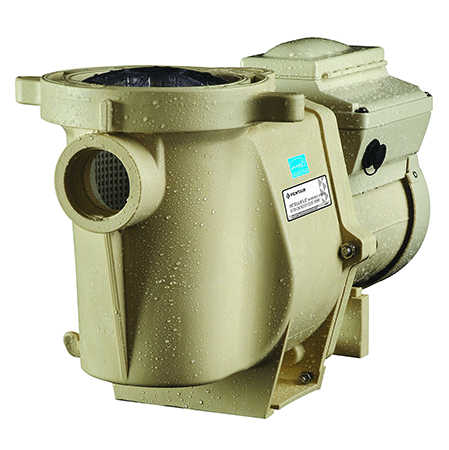 It works in standard pools that require up to a 1.5 hp pump and has 50 and 60 Hz and 110-230v capabilities. The Sta-Rite 343001 SuperMax has 24-hour memory retention and a real-time clock. It’s capable of override and has three speed settings. The Jandy JEP 2.0 ePump is extremely quiet and efficient, and its motor has a long life. It comes with a one-year warranty. This pump has 8 variable speeds, five control system options, and an enormous trap basket. There is also a 1.5 model available. 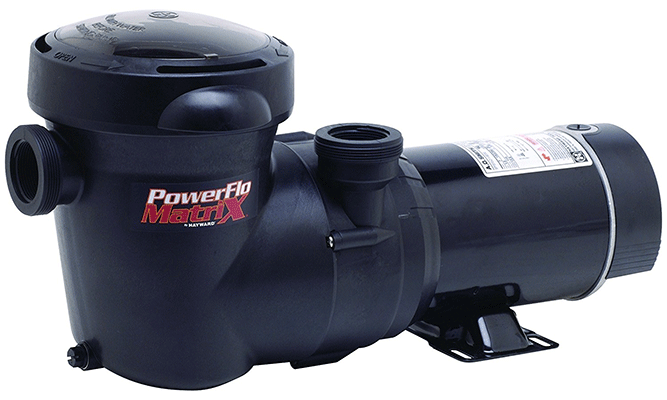 This energy efficient pump works well for on- and above-ground pools. The heavy-duty motor has a long-lasting integrated automatic thermal protector. There is a protected rear-mounted switch to start the motor. The pump generates vertical discharge orientation to horizontal. It comes with a large strainer basket and drain plug. 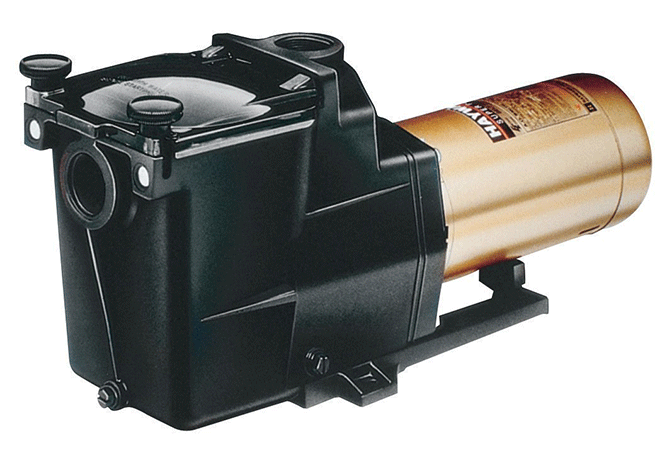 The Hayward SP2302VSP is one of the most energy-efficient pumps available and is eligible for local utility rebates. The motor is efficient, durable, and quiet. There are an extra-large basket and a new time-clock. The motor has a permanent magnet, totally enclosed fan cooled (TEFC) design that cuts power consumption. Another well-liked Hayward pump is the SP3400VSP EcoStar, which features a permanent magnet, TEFC motor that keeps water running smoothly and produces little noise. 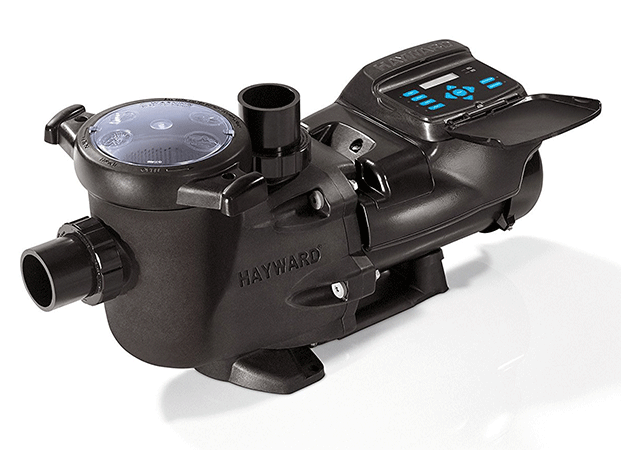 This pump can be installed with Hayward automation, in stand-alone mode, or with competitive control systems. It is automatically protected from brownouts, voltage spikes, priming failures, and extreme temperatures. This Pentair pump is built to save you 90% energy consumption over its competitors and is a 3-hp, 230-v machine that runs quietly. There are 8 programmable speed settings, a built-in timer, and built-in diagnostics. Motor speed can be matched to your pool’s needs. This pump also enhances chlorinator and filter performance and reduces algae build-up. This generator continuously recycles the salt used to create chlorine in a pool, reducing your amount of daily upkeep. The IntelliChlor is self-cleaning and produces up to 1.4 pounds of chlorine each day. 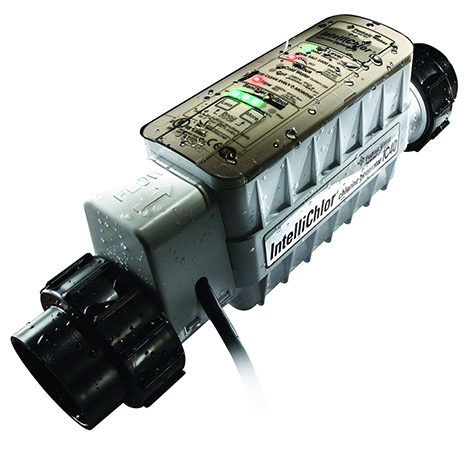 IntelliChlor IC40 works in pools up to 40,000 gallons and can work between 220-240V. It comes with a 10-foot power cord. 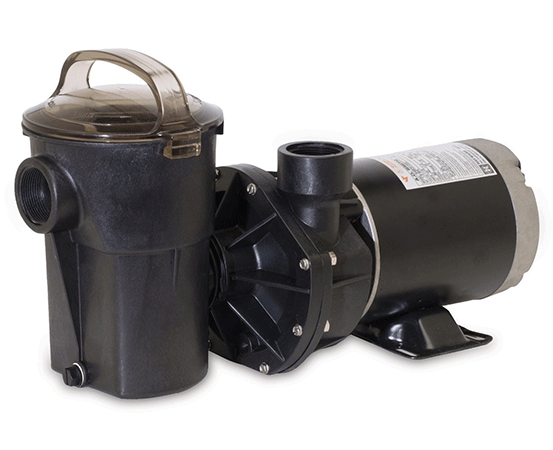 This single-speed 1.5hp pump is quiet and cost-effective. It starts up easily with the self-priming feature and comes with a one-year warranty. Hydraulic noise is minimized by the pump’s internal design. Hydraulics are well-engineered, the 56 square flange motor is durable, and the body parts have thick walls. 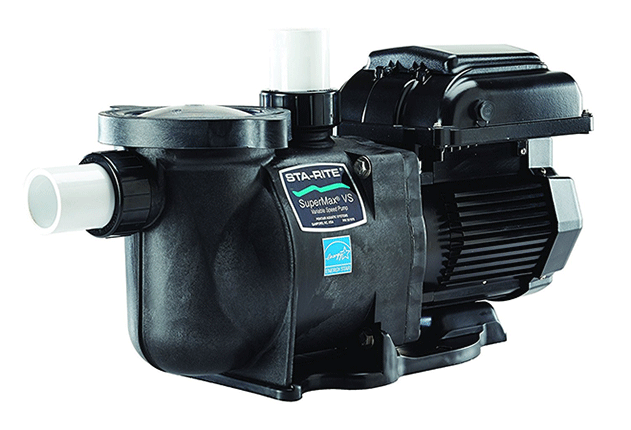 This 1.5hp pump is known to be reliable and efficient. It is easy to service since there is a quick 4-bolt access area for the internal components. The strainer is see-through so you can know when there is a lot of debris in it. The strainer’s cover can be easily removed using the swing-away hand knobs. There are no loose clamps or parts. The 110-cubic-inch basket can hold excess leafs. 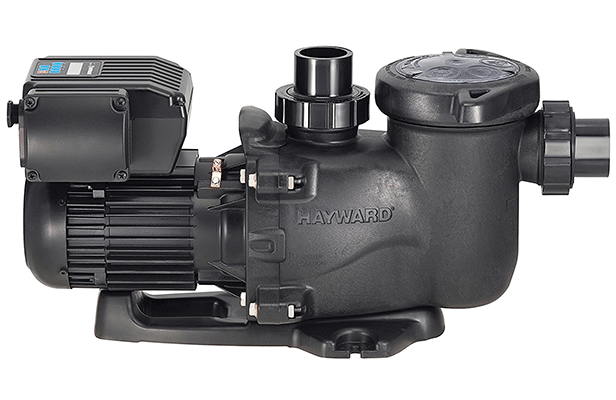 The best pool pump for 2017 is the Hayward SP1580X15 Power-Flo, which is a 1.5hp pump meant for above-ground pools only. 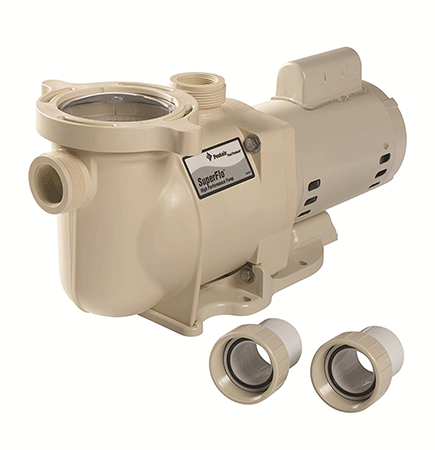 The pump has a clear cover and has reinforced thermoplastic housing for year-round protection. The debris basket is a whopping 118-cubic-inches. The double-sized seal is heat-resistant and 100% drip-proof.